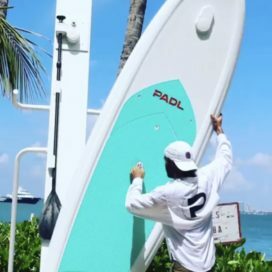 PADL is a platform which provides automated paddle sport rentals. We offer systems for any size business ready to implement or expand water sport rental operations. Our packages include all hardware and software you need to get started. The hardware consists of one of our racks, a locking system, and rental equipment. 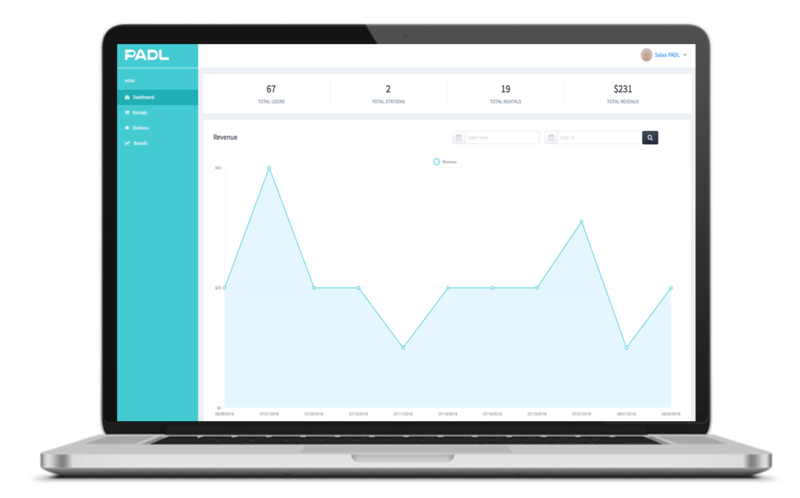 The software includes the PADL user mobile applications for both iOS and Android, as well as the PADL management web application. With our public and private account options, PADL is perfect for any waterfront location! Want to start your own paddleshare? Our easy user interface allows for seamless rentals and happy customers. in app visibility puts your location on the map driving additional business to your hotel, marina or store. The PADL customer support is included for all your rentals. We will be your right-hand partner. Live dashboards provide you with business insights, including battery levels, equipment location, rental status and more. Customer contact details and history allow you to better market to your users based on real data. With our easy exports, quickly add transactional data to your financial system, or simply use in a spreadsheet. We live in a global sharing community, where people are tech focused and mobile first. 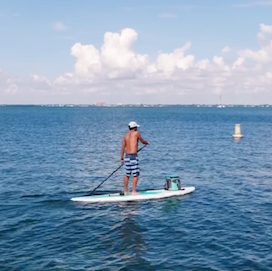 As the world’s first automated paddle sport rental system, PADL is the solution. Want to know more? Fill out the form below and we’ll be happy to help! Thank you for your interest in PADL | Automated Paddle Sport Rentals.